Taking a break from all the preparations for the upcoming DOGS Gallery Show, the pups and I headed to the beach for a little fun in the sand and surf. 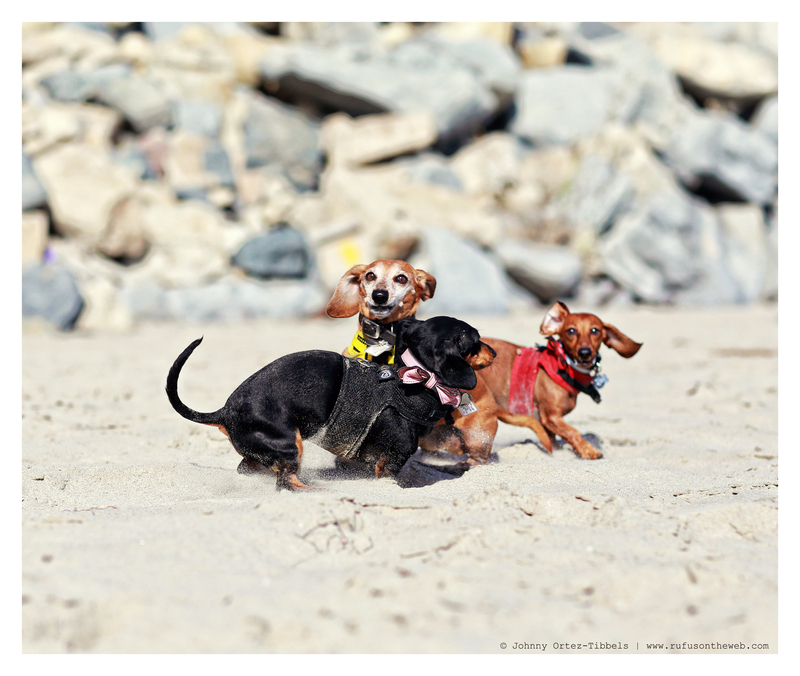 My dachshund trio really seem to enjoy the beach, especially Summerland. The top photo is my new favorite; it reminds me of a photo finish from a horse race. All three were racing back to me when I snapped it. Have a wonderful day dachshund friends. 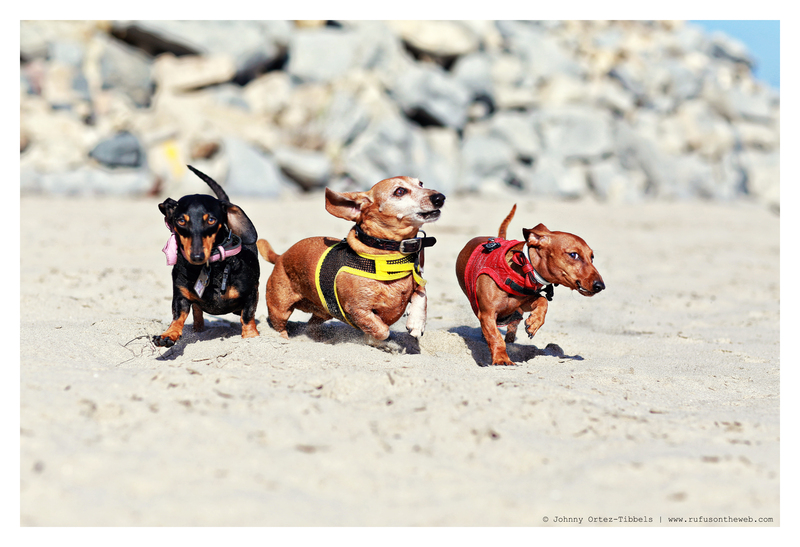 This entry was posted in Emily, Lily, Rufus and tagged #ADachshundsLife #HappyHounds, #black and tan dachshund, #dachshund, #dachshund puppy, #dogbeaches #dogfriendlybeach, #red dachshund, #smooth dachshund, doxies. Bookmark the permalink. looks like they are having a ball!!! I wish my doxie could be off lead…but she is a suborn one! Very good at ignoring and doing exactly what she wants. Unfortunately, she learned this as a pup and it has been impossible to train out of her. There is nothing she wants more than her own way!!! I love the harnesses on your babies 🙂 do you have link on where you purchased them? My miss Lilly had 3 beatiuful pups 11 weeks ago. I’m trying to get all the gear together so we can start our walks 🙂 – Have a great day!